Over the past two months, Hurricane Florence ravaged the East Coast followed shortly by Hurricane Michael, causing widespread evacuations and leaving millions of people without power for an extended period of time. At the same time on the West Coast, wild fires ripped through California, Colorado and Montana – burning tens of thousands of acres and leaving many households without power. These natural disaster events and the many we will face in the future mean that our electric grid is increasingly vulnerable. As climate change continues to intensify weather patterns, natural disasters (such as floods, hurricanes, wildfires, snow storms, and tornados) are becoming more frequent and more intense. Utilities are on the front lines – expected to maintain safety and reliability for their customers and workforce, alike. Keeping the lights on – or restoring power as quickly as possible in the event of an outage – requires extensive planning, tireless work and unending commitment. Power providers are rethinking disaster management, especially when it comes to prevention, planning and adaptation measures. In California, recently passed legislation (SB 901) aimed to address wildfires, including key measures to move California toward better wildfire preparedness, response and resiliency. The law includes language to address a wide range of factors that contribute to extreme fire threat in California and mandates utilities to develop a wildfire preparation plan, including the tools and technologies they will utilize to address wildfire-related risks and impacts. This all points to the conclusion that, in the face of increasingly destructive natural disasters, it is critical for utilities to have a variety of tools and resources available to keep the grid safe, resilient and reliable. Advanced transmission technologies, such as Dynamic Line Ratings (DLR), Topology Optimization and Advanced Power Flow Control, are highly valuable in these circumstances and belong in utilities’ toolkits. Each of these technologies now have mobile forms, which can be re-located and re-deployed quickly which makes them fundamentally different animals from traditional solutions that go through multi-year planning cycles. Advanced power flow control pushes or pulls power away from overloaded lines and onto underutilized corridors within the existing transmission network and is quickly deployed, can scale to meet the size of the need, and is easily redeployed to new parts of the grid when no longer needed in the original location. Mobile platforms can be deployed in 8 hours. This mitigates numerous wildfire-related risks, such as reducing power flows in anticipation of hot, dry conditions; minimizing the impact of forced outages by limiting the load shed to areas requiring shutdowns for safety reasons; and increasing the speed of restoration efforts by quickly connecting customers and enabling system reconfigurations. These are just a few examples of the benefits that advanced transmission technologies can provide to address the negative impacts of natural disasters on the grid. DLR is another advantageous technology that allows utilities to operate lines at higher power capacities based on actual weather conditions. While DLR technology offers utilities many economic benefits under normal operations, it also provides strong grid resilience benefits. During long-term substation or transmission line outage scenarios, DLR can enhance recovery by maximizing the utilization of surviving transmission assets. DLR may also be part of a system to limit or prevent cascade line outages and the potential system collapse such scenarios present. Another valuable technology utilities to deploy is Topology optimization. Topology optimization acts as a “Waze” for grid operators, identifying grid reconfigurations to route power flow around overloaded transmission elements using alternative, underutilized routes. The reconfigurations are implemented through switching on/off existing high voltage circuit breakers, which can be done remotely and rapidly from control centers. Topology optimization has been used to successfully mitigate overloads during severe winter storms, heat waves, wildfires and other natural disaster conditions. Traditionally, operators identify reconfigurations based on their experience and knowledge of the system—a challenging task considering the grid complexity. With topology optimization, the technology performs the identification automatically and quickly, enabling operators to better utilize the grid. Beyond natural disaster support, advanced transmission technologies can help utilities optimize their existing transmission grid by allowing hidden transmission capacity to be identified and utilized. Widespread deployment of these technologies could reduce the cost of electricity to consumers by as much as $2 billion per year while improving reliability and resiliency. There are numerous reasons why advanced transmission technologies belong in every utility’s toolkit, including as utilities plan for, address in real-time and recover from natural disaster events. As the West Coast wildfires continue to burn, and as the East Coast braces itself for a long hurricane season, the time is now for utilities to ensure they are familiar with and ready to deploy advanced transmission technologies. Maggie Alexander is Director of the Western Region at Smart Wires, a modular, scalable, redeployable power flow control technology company based in Northern California. Transmission congestion can increase electricity bills paid by American households and businesses. It results from limits on transmission flows from one location and “re-dispatch” of electricity generation such that higher cost generators must be turned on to supply electricity demand. Congestion costs are likely to rise in the US. They had been on the decline after a significant build-out of transmission capacity from 2009-2015. But there is much less transmission expansion planned in coming years than in the past. Interconnection queues and generation deployment estimates suggest continuing development of generation resources in constrained areas. The retirement of some generation in certain areas may create some space on the grid. But the combination of reduced transmission investment and growing remote generation development will likely cause congestion to grow. Determination of congestion costs and the savings possible from advanced transmission technologies requires detailed region-by-region study. The purpose of this short analysis is to provide an initial rough estimate. The analysis below indicates that a combination of advanced power flow control, topology optimization, and dynamic line ratings would save American households and businesses around $20 billion over 10 years. Congestion costs are known in two-thirds of the country, and not well known in the other third. Where it is known is where there is a Regional Transmission Organization (RTO) or Independent System Operator (ISO) because they transparently price and post congestion.  Other efforts to calculate annual transmission congestion cost such as the Congressionally mandated National Electric Transmission Congestion Study by the Department of Energy faced the same challenge in calculating national transmission congestion cost. If one assumes that congestion outside of RTOs is similar in magnitude to congestion inside, then one can extrapolate from the known half of the country to the full country. That method is employed here. Congestion costs in the transparent markets in the country for the most recent year in which all the data are available (2016) are shown in Table 1 below. They total $3.91 billion. To extrapolate from the transparent regions to the full country we need to know what portion of the country is covered by transparent markets. Sixty six percent of the country is covered by RTOs, estimated by comparing the percent of peak loads, using the data below in the Market Size Comparison section. Dividing $3.911 billion by .66 yields $5,952 billion. Thus we estimate annual US transmission congestion cost to be approximately $6 billion per year. There are a few indicators of how much of the $6 billion could be reduced through advanced transmission technology. The market monitor for MISO estimated that “as much as $155 million in production costs savings could be achieved by fully adopting temperature-adjusted, short-term emergency ratings throughout MISO.” MISO had $1.4 billion in congestion as shown above, so these savings are a little over 10 percent of total congestion. An estimate of the capacity increase Dynamic Line Ratings make possible on the Oncor system found capacity could be increased by 30-70 percent. The New York Power Authority pilot project showed capacities increased 30-44 percent above static ratings. Clearly these pilots indicate significant economic savings though the amount would depend on how much out-of-merit dispatch occurs at the times when capacity increased, and that was not quantified. One study of power flow control savings found 30-50 percent reduction in congestion. Another study in the UK found 2 million pounds in savings though it doesn’t say what percentage of the system congestion cost that represents. A combination of the technologies that increase grid utilization would increase the total savings. With savings of 10 percent from one technology and over 30 percent from another, and adding these technologies together along with others, it seems safe to estimate that savings from the suite of technologies could be on the order of 1/3 of congestion costs. With annual congestion costs around $6 billion/year, that would be $2 billion/year in savings. So over a 10 year period savings could be $20 billion. Studies of this potential would be needed to provide a more robust estimate. The studies should be done for each region, and take into account the shape of the dispatch curve and grid configuration. The seven ISO/RTO regions’ peak load is 66% of the total US peak load. One could also make this comparison based on annual energy.